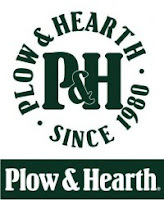 Plow and Hearth has become one of my absolute favorite home stores! They offer incredible accents and furnishings for the home; including some amazing exclusive items that you can only find with them. 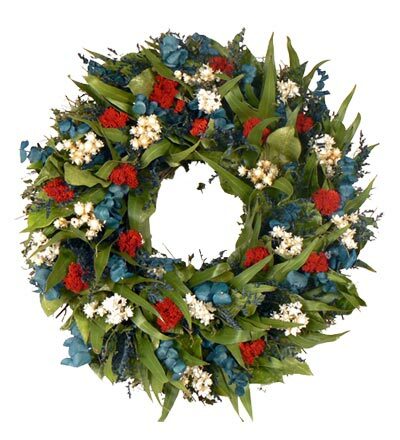 After browsing through their site (and making the longest EVER mental wish list) I stumbled across the America Wreath (pictured above). I knew that it would be perfect for our front door (which is under our covered porch and has a screen door~as suggested in the care instructions). We live in a very old historic house (our home was actually the original home built on our block in the mid 1900's) and with the colonial blue shutter's, the wreath matches the outside decor perfectly. Comprised of the most beautiful dried flower's, the Amerciana Wreath has added the perfect welcoming touch to the entry of our home. 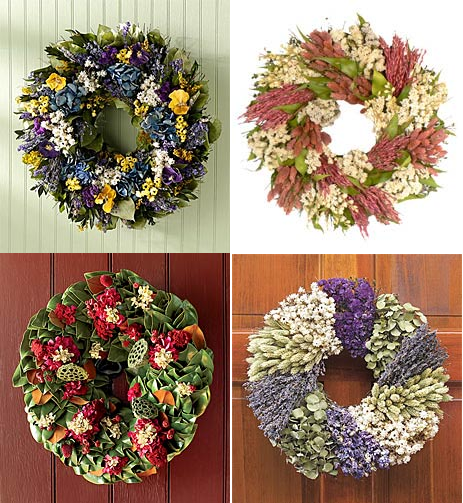 Plow and Hearth has an extensive offering of beautiful wreaths for every season, both indoors and out (some of Plow & Hearth's Wreath selection pictured below). DISCLOSURE: A product sample was provided for review purposes. I am not required to write a positive review. The opinions I have expressed in this post are my own. I am disclosing this in accordance with the Federal Trade Commission’s 16 CFR, Part 255.